His portrayal of Gordon Lightfoot is simply an honest effort to entertain with an accurate representation of a Lightfoot concert. Mike plays the role of “Gord” in first person, yet avoids saying “I” or “me” in his storytelling of the songs and the circumstances of how they were written. His tireless research and personal interaction with Lightfoot have lead to accurate mannerisms, speaking patterns, clothing, and of course identical guitars used by the Canadian icon on stage. Rarely does he break character, usually only to introduce the band or give a personal message before the conclusion of the show. On stage, he demonstrates his love of a genre of timeless music that captured millions during the 1960s, 1970s and 1980s. His catalogue of Gord’s music includes 77 songs that he chooses from in concert. 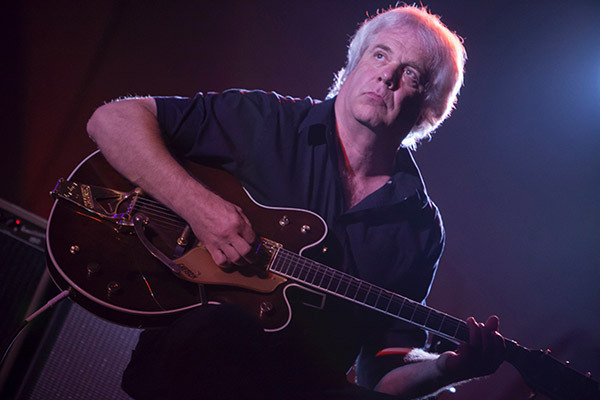 Mike tours annually and will play more than 60 shows in five states and Canada in 2016. Four talented area musicians play the roles of Gordon Lightfoot’s stage band, replicating parts heard on recordings and in live performances by Carter Lancaster (lead guitar), Barry Keane (drums), Rick Haynes (bass) and Michael Heffernan (keyboards). 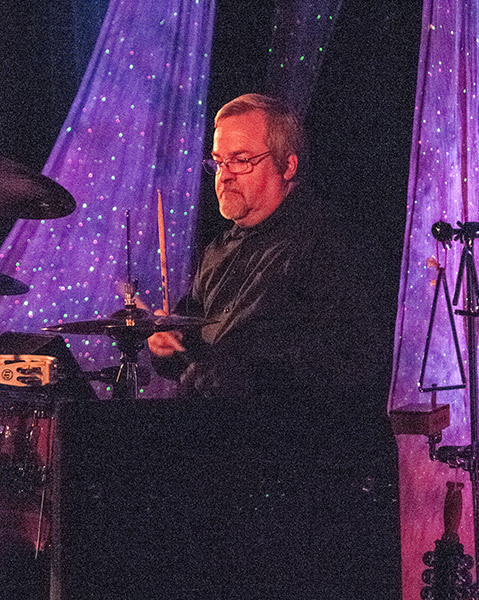 He spent many years as a studio musician in the 1970s and still loves to record and produce live sound for various artists and productions for the Gaylord Community Theater. 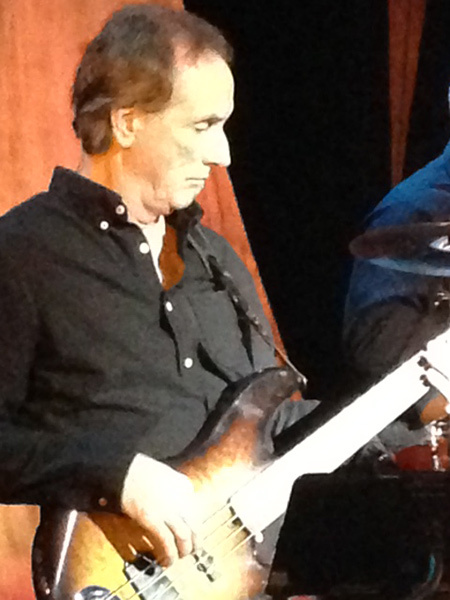 Playing bass guitar for more than 40 years has allowed Art to explore many different genres of music, mostly classic rock and roll and Motown sounds. He has anchored the bass lines of a Northern Michigan band, “Yankee Station,” for more than 20 years. Robinson says he has too many musical influences to list, and approaches his musical journey as a continuing adventure. He enjoys snow skiing and golf near his Boyne City home. The versatile Director of Music Ministry at St. Mary/St. 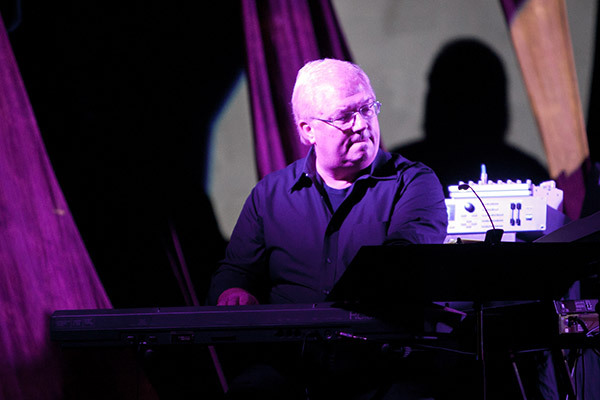 Charles Church in Cheboygan, George Krawczyk has appeared in countless area musical productions on piano and organ since his move to Northern Michigan after a 23-year stint of playing and teaching in the Flint and Ann Arbor areas. Besides his superior work in religious music and show tunes in local productions, Krawczyk also enjoys playing in jazz and easy listening roles. 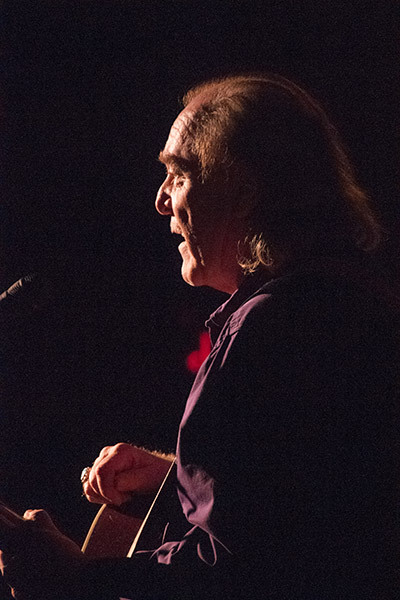 George annually writes a musical comedy for children’s theatre. The tasteful drum and percussion effects of the Lightfoot sound come from the talented Matt Wohlfeill. Newly retired, Matt worked for the Cadillac PoliceDepartment since 1989 as a patrol officer, community services officer, road patrol sergeant, captain, and as the acting chief of police. In addition to serving as a 911 dispatcher, firefighter and EMT first-responder, Matt also has a U.S. Coast Guard 100-ton captain’s license. Among his musical tastes are Motown, blues, beautiful instrumental arrangements and moving vocal harmonies.